"I really enjoy the creative community at ESA. The positive energy seems to take hold of you and always inspires you to dig deeper and think bigger." "My advice for younger students: Just go with it — come out of your shell, talk to people, talk to that teacher, take advantage of any and every opportunity. I’m so lucky that I don’t regret a thing about my time at ESA." "Upon entering upper school, I immediately realized that there was something unique about the way art was taught here. I was given the techniques and skills in the various forms of art, and then it was really up to me how I used those techniques to explore deeper in the art form. I remember walking in on the first day of metalworking and pottery, and the first question was ‘what do you want to learn, make, and take away from this class,’ instead of being told what you were to make and do. Of course, none of that would have been possible without the facilities and equipment available. Often I feel that I am not even in high school. I feel as if I am in college or even in my own studio due to such facilities that many other high schools would not be able to offer to their students." "Coaching at ESA is a thrill, and it's easy to be passionate about what we do out here. Every year, I get the opportunity to work with athletes that balance a rigorous academic curriculum with a competitive spirit and atmosphere outside the classroom. The athletes work hard on a daily basis, and often during vacations to compete at the highest level in pursuit of individual and collective excellence on the playing field. While doing this, they exhibit the character and poise of a student well beyond their years. Who doesn't want to work with and coach players like that...?" ...an adventure, extraordinary, eclectic, a way of life, better than ice cream, innovative, fun in the sun, a place to be an individual, amazing, lifechanging, worth it, liberty, love, cheerful, home. "Who travels around the country in an old beat-up school bus to raise money for the future of those who are not as fortunate? A teacher known as King Tut." Learn more about the Tates/Tutwiler Endowment Fund, Annual Giving, the STEM to Stern campaign and fundraising at ESA here. First graders are continuing the service project and social studies lesson they began last semester. Surprised by how much money they raised through their cookie sale, the students have been working to decide what to do with the funds. This week, they worked with fourth graders to write persuasive essays. 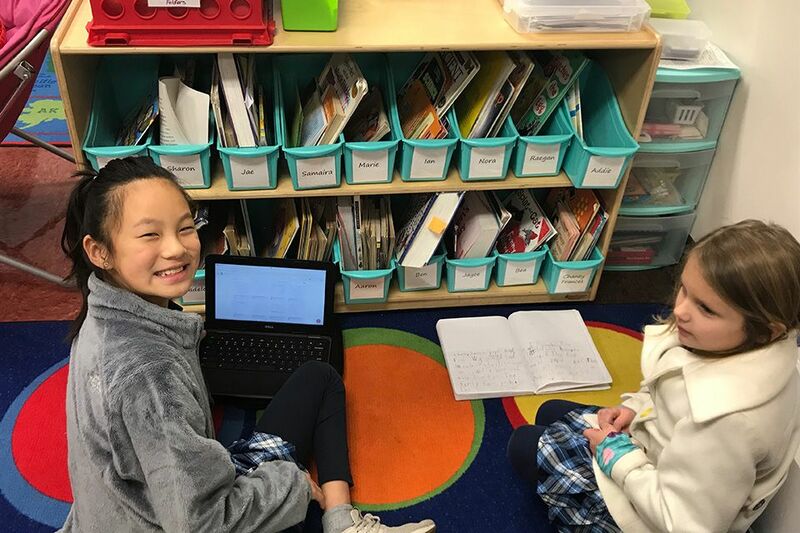 The fourth graders helped the younger students put their journal entries and thoughts into opinion essays, and through the process, discovered the importance of building rapport, elaborating ideas and listening attentively. The next day, the first grade students argued their cases to their classmates, then voted on two different packages to help people through Heifer International. The students chose sending a girl to school and providing communities with clean, healthy water, as well as supporting other projects. The final package included something that each student had argued for, so all of them were happy! Episcopal School of Acadiana is a private coeducational day school for students in grades PK3 through 12. Our mission is to instill in every student the habits of scholarship and honor. ESA does not discriminate on the basis of physical disability, race, religion, gender, or national or ethnic origin.